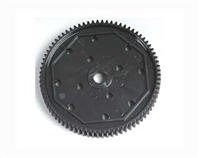 This differential gear cover snaps into place around the 12 ball holes on the new Kimbrough spur gears to prevent dirt buildup and keep the differential running smoothly. 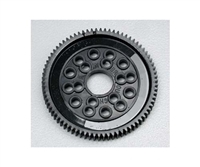 Also increases differential life. 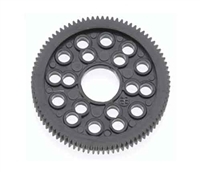 4 per package. 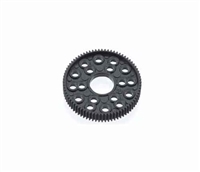 Made of Futaba Servos with 25 Splines. 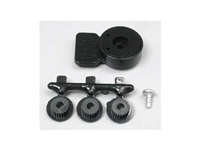 INCLUDES: One White Plastic Servo Saver One Mounting Screw. 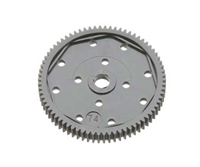 COMMENTS: Servo Savers help reduce stress on Servo gears. 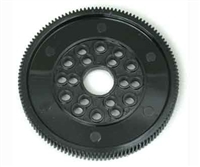 They are most often used for high-stress areas such as Steering. 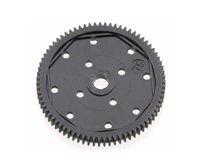 These precision molded spur gears offer reduced friction for greater speeds and longer run times. 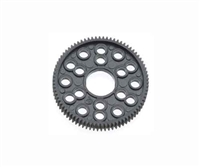 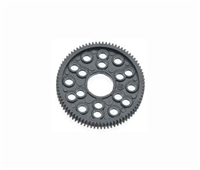 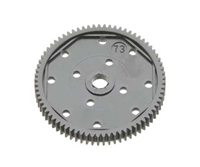 The gears feature 12 standard race diameter holes for stock diffs and 6 inner holes for european cars such as the Corally line. The gears are available with or without pre-installed diff balls and are available in a variety of tooth numbers. 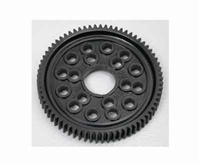 This is the 64P 86T Precision Diff Gear from Kimbrough. 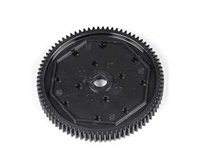 This is the Kimbrough Slipper Gear for the Associated B4, T4 and SC vehicles. 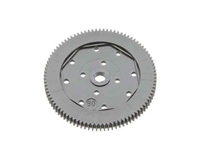 Kimbrough Servo Saver Mid-Size NO Holes. 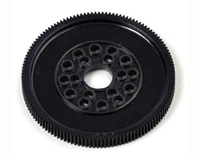 This is the optional Kimbrough 69 Tooth 48 Pitch Slipper Gear for use on the Associated B4, T4 and SC Vehicles. 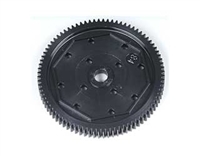 This is the optional Kimbrough 73 Tooth 48 Pitch Slipper Gear for use on the Associated B4, T4 and SC Vehicles. 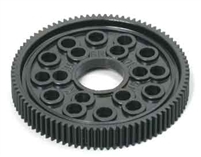 This is the Kimbrough Slipper Gear for the Associated B4, T4, and SC Vehicles. 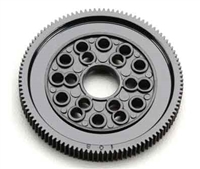 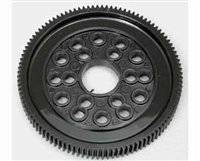 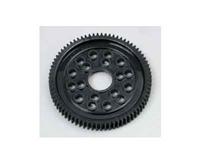 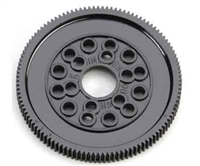 This is the Kimbrough Slipper Gear for the Associated RC10B4, T4 and SC vehicles. 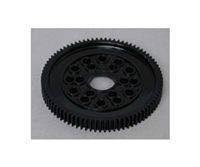 Differential gear for 1/12 and 1/10 scale cars. 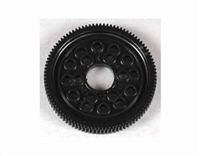 Made of super strong nylon with 12 ball bearing holes on outer hole circle.